Cosmos is a quarterly print magazine. Their four editions each year cover the best of global science. Cosmos is produced by Cosmos Media Pty Ltd, a boutique publishing house based in Melbourne, Australia. It has twice been named Best Publisher at the annual Publishers Australia Excellence Awards. RICHARD A. LOVETT, who is a Portland, Oregon-based science writer and science fiction author, is also a frequent contributor to COSMOS. Based on scientific studies, Mr. Lovett suggests that a decades-long drought might have brought the Maya civilization to an end. According to Cosmos Magazine, the Maya civilization, which dominated southern Mexico for hundreds of years, appears to have been brought to its knees at least in part by a series of severe, decades-long droughts, scientists say. Conditions were so bad, says Nicholas Evans, a geochemist at the University of Cambridge, UK, that rainfall decreased by 50% on average. During the worst periods, he says, it decreased by up to 70%. The drought was further exacerbated by a 2-to-7% drop in relative humidity, his team found. 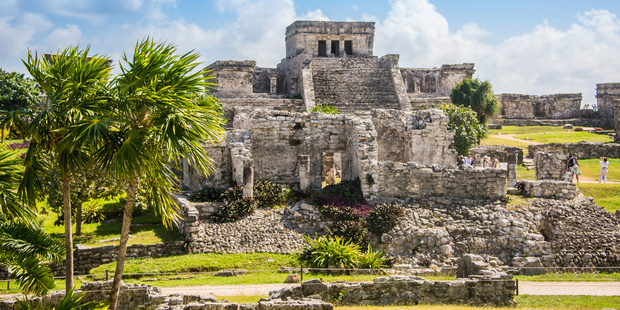 The climate shift coincided with an era called the Terminal Classic Period, between 800 and 1000 CE, when the Maya civilization was in decline and permanently abandoned many of its cities. The idea that drought may have contributed to this collapse isn’t new. “[It] has been debated for at least 100 years,” says Christopher Baisan, a dendrochronologist, or tree-ring scientist, at the US University of Arizona’s Laboratory of Tree-Ring Research, who was not involved in the new study. But just how severely the climate had changed was not clear. All that was really known was that it was drier than at the height of Maya influence.